The Mondo Visione Exchange Forum is a place to do business before, during and after the event. This is not a conference from an endless production line of bland conferences. The Mondo Visione Exchange Forum is run by industry experts with genuine domain expertise. The topics we cover are the ones that other conferences will be covering in the future. They can imitate but never duplicate. 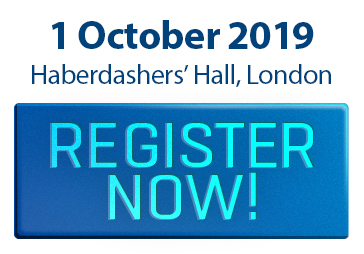 The 2019 Conference takes place on 1st October and will be chaired by Alderman Professor Michael Mainelli FCCA FCSI FBCS, Executive Chairman, Z/Yen Group . The event venue is Haberdashers' Hall, set in the heart of the city, a unique venue with the wow factor. The post-event cocktail reception will be at Le Bar, Cellar Gascon, across the square from Haberdashers’ Hall. Le Bar is probably the most idiosyncratic wine bar in London. If you wish to discuss conference sponsorship opportunities please contact Michael Astorga and his team.